OSRS account combat level 77 ID# 20190210SB77 - RuneScape Accounts,RS Accounts,Buying Runescape Accounts,Buying RS Accounts,Cheap Runescape Accounts,Cheap RS Accounts. 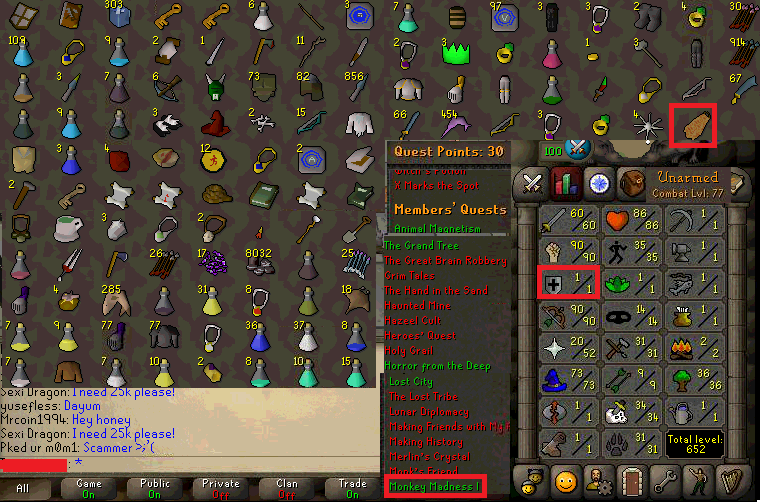 OSRS account combat level 77 with 60 attack, 90 strength,1 defense, 90 ranged, 52 prayer, 73 magic, 35 agility, 34 slayer, total level 652, quest points 30 with Monkey madness done. come with firecape. nice pure account trained by our own trainer. 100% no recover back.